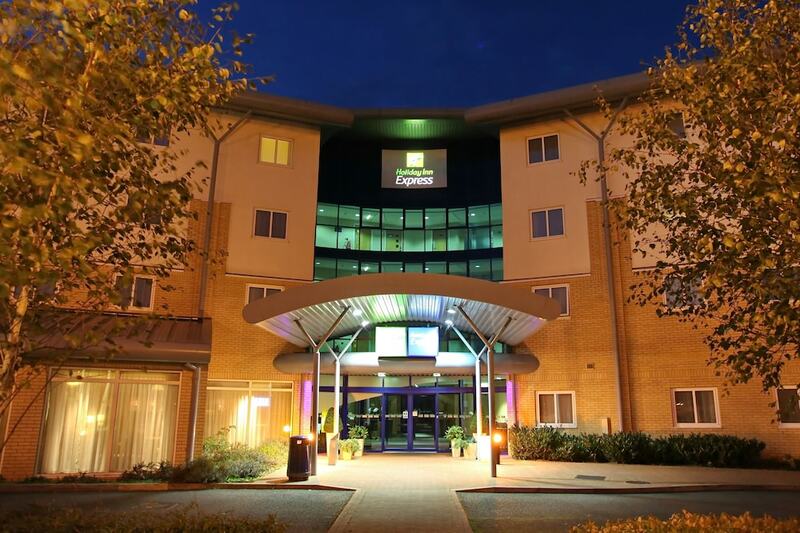 When you stay at Holiday Inn Express Southampton M27 Jct7 in Southampton, you'll be near the airport, within a 15-minute drive of St. Mary's Stadium and Ageas Bowl Cricket Ground. This hotel is 6.3 mi (10.1 km) from Southampton Cruise Terminal and 4.4 mi (7.1 km) from University of Southampton. Stay in one of 182 guestrooms featuring LCD televisions. Complimentary wireless Internet access keeps you connected, and digital programming is available for your entertainment. Private bathrooms with showers feature complimentary toiletries and hair dryers. Conveniences include phones, as well as desks and complimentary newspapers. Enjoy a satisfying meal at Conservatory Restaurant serving guests of Holiday Inn Express Southampton M27 Jct7. Quench your thirst with your favorite drink at the bar/lounge. A complimentary hot/cold buffet breakfast is served on weekdays from 6:30 AM to 10:00 AM and on weekends from 7:00 AM to 11:00 AM. Featured amenities include complimentary newspapers in the lobby, dry cleaning/laundry services, and a 24-hour front desk. Planning an event in Southampton? This hotel has facilities measuring 742 square feet (69 square meters), including conference space. Free self parking is available onsite.